Through the ZEROGRAVITY application we instrut and advise clients of all levels with different objectives and needs. COUNCELING AND FORMATION ONLINE ZEROGRAVITY for GOALKEEPERS and COACHES. ZeroGravity opens its online training course. The development of the course is individualized created by ZEROGRAVITY, exclusive for you, suitable and tailored to your personal and sports features. It will focus to strengthen your skills and generate knowledge in ways more generics as the technique, the intelligence tactics, appearance conditional of the goalkeeper in football, etc. up to very specific and essential content for the domain of the training development, the control and management of the competition. For amateur goalkeepers who wish to improve their understanding of the goalkeeper position and develop their abilities, this is the perfect place for you to do so. ZEROGRAVITY will provide you with a training plan based on your available resources and individual needs that is also catered to your involvement with your team both in training sessions and in competitive situations. These programs sill give you the knowledge and experience you need to obtain your highest possible level of performance. High performing academy goalkeepers currently in development stages between the ages of 14 and 19 years who wish to discover and enhance their abilities as well as develop their talent will benefit from ZEROGRAVITY creative methodology programs. 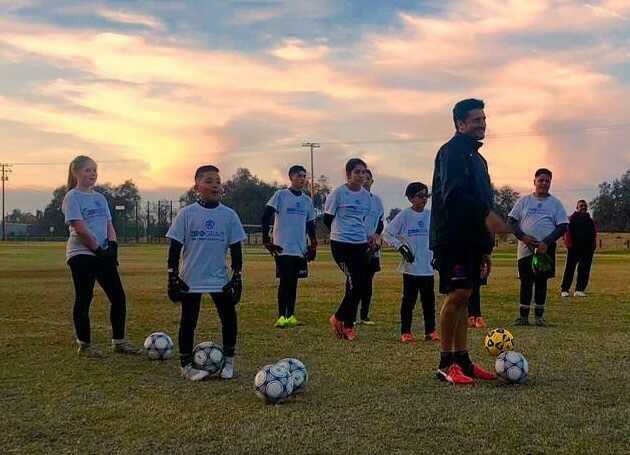 Goalkeepers in these programs will receive individualized training plans created and designed according to each goalkeeper personal characteristics and needs. These programs will guide such goalkeepers through the process of creative, intelligence, self-awareness and self-management development and contribute to the goalkeepers performance within the team context. ZEROGRAVITY will ultimately lead each participant through a personalized process towards the acquiition og all the necessary skills to become a high performance goalkeeper in an elite environment. Goalkeeper coaches who function at all levels (elite academy, amateur or recreational) who seek advice and training to properly assess goalkeepers, who wish to acquire the skills to properly train goalkeepers and enhance their understanding of the position will benefit greatly from ZEROGRAVITY range of tools and resources to achieve their objectives. Such coaches will receive advice and training as well as learn about methodical approaches to goalkeeper coaching at all levels. 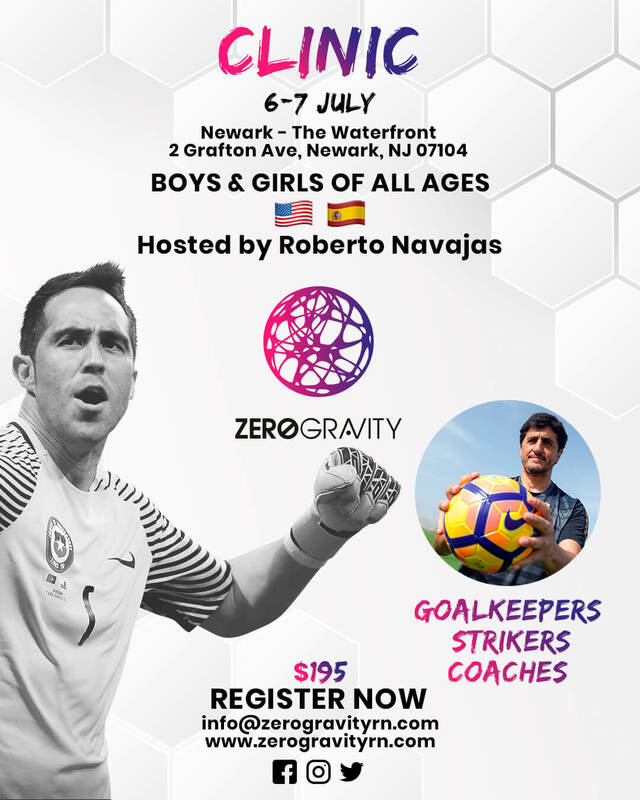 ZEROGRAVITY provides fathers and mothers of young female and male goalkeepers between the ages of 7 and 13 years with training programs that advise on best goalkeeper development practices. ZEROGRAVITY will provide all the support you need to ensure that your young goalkeepers develops the key skills necessary to grow as a goalkeeper as wel as enjoy the position. ZEROGRAVITY is fully aware of the limitations that parents may face in training their young goalkeepers and will therefore seek to advise parents to guide their goalkeepers through the development process and suport them in matches as well as nurture their passion for the position and obtain a positive attitude towards learning, training and competing. ZEROGRAVITY has set up different ACADEMIES and CENTOS ELITE aimed at goalkeepers and goalkeeping coaches in Spain, UK, USA, Canada and Chile. ZeroGravity organizes CAMPUS and CLINICS in different countries. These courses are aimed at Goalkeepers, strikers and goalkeeping coaches. In them the theoretical and practical contents are developed and later the participants could follow their online training for a month through the ZeroGravity APP. Zerogravity offers industry leading goalkeeper advice to professional or amateur clubs universities, grassroots organizations or goalkeeper specific academies in any country. This advice is focused on enabling goalkeepers to develop though our unique creative methodology where the player is empowered to enhance each of his or her indiviaul abilities.